Have you ever wished you could bring your garden indoors? Or grow herbs all winter long? Do you need more space for your beloved plants, or want a place to grow indoor foliage where it is guaranteed to get enough sunlight, no “plant lights” required? 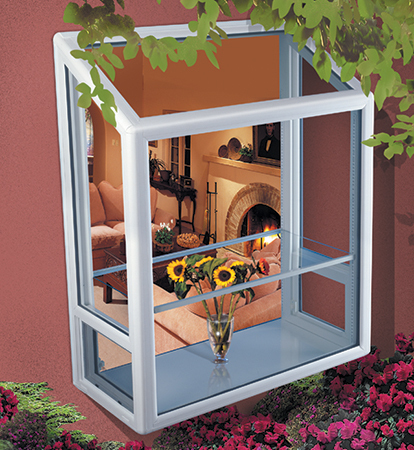 Garden windows in Denver, also known as greenhouse windows, are the perfect solution. Get your “green thumb” on with a garden window from Scottish Home Improvements. Imagine the difference a window like this can make in your living room, family room, dining room, or where they have become the most popular — in the kitchen?! 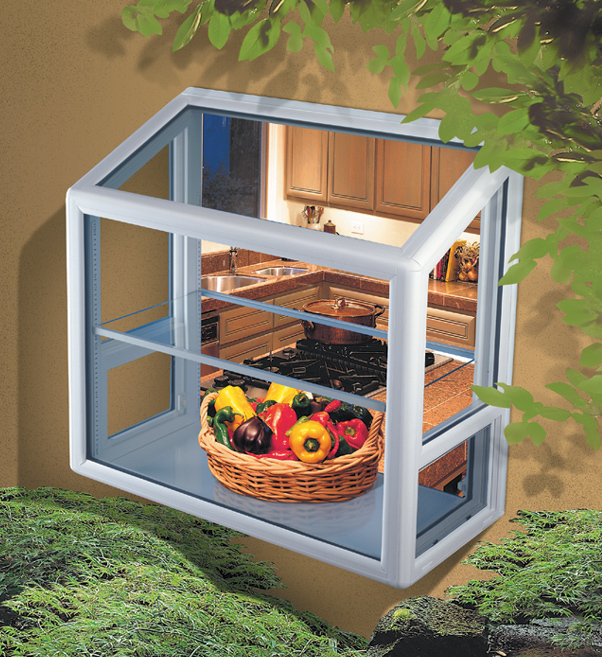 Garden windows in Denver are an outstanding idea for that window above your kitchen sink, or even to bring light and beauty to your home office. They are the perfect solution for a room that just doesn’t quite get enough light for your plants to flourish. And we all know the benefits of having a room loaded with happy, healthy plants in terms of removing airborne contaminants and creating oxygen. Did you know an abundance of houseplants humidifies the air? Perfect for our dry Denver climate! A specific type of bay window, garden windows have a top pane that lets in an enormous amount of light, and casement side panels that open for enhanced ventilation. The width and multiple panes of glass allow a more expansive view of your yard, garden, or perhaps even our spectacular Rocky Mountains. 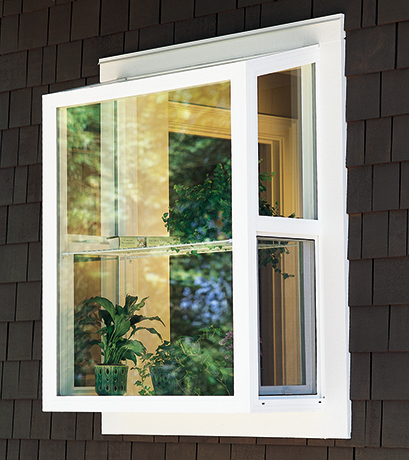 Available in various shapes and sizes, these windows are sturdy, practical, energy efficient and durable. If your existing windows need replacing, consider adding more light and beauty into your home with the addition of garden windows. They add a unique modern touch to your home. We hope you’ll consider Scottish Home Improvements for green house and garden windows in your Denver home. Our 10+ years of experience and thousands of happy customers tells you we have the experience and expertise to do the job right. Please let us earn your business — Contact Scottish Home Improvement for a free estimate today.